Weldalite049铝锂合金化学成分锂铝合金力学性能 上海艾荔艾金属材料有限公司Shanghai Ailiai Metallic Material Co.,Ltd. Some of the most important commercial alloys in this class include 2090, 2091, 8090, and Weldalite 049 that were introduced in the 1980s. The table below shows the chemical composition of these alloys. Aluminum-lithium alloys (AL-Li) were developed primarily as direct replacements for existing aluminum alloys to reduce the weight of aircraft and aerospace structures. It has been realized that the most efficient way of doing this is to develop low density materials, since weight reduction through reduced component size often leads to low stiffness parts and reduced fatigue life. Typical components that benefit from low density alloys include structural members in airframes, aerospace vehicle skins, and liquid oxygen and hydrogen fuel tanks in spacecraft. Aluminum producers began major development of aluminum-lithium alloys in the 1970s with the objective of introducing light weight, high stiffness aluminum alloys that could be fabricated on existing equipment and components could be handled and assembled using established techniques. Some of the most important commercial alloys in this class include 2090, 2091, 8090, and Weldalite 049 that were introduced in the 1980s. The table below shows the chemical composition of these alloys. 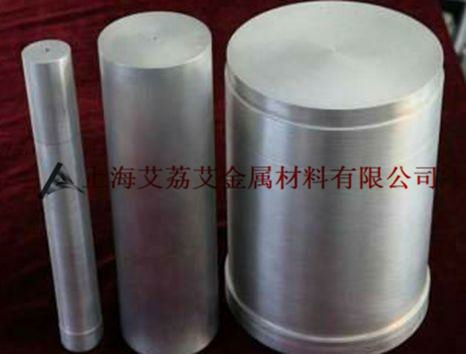 The advantages of Al-Li alloys over conventional aluminum alloys include relatively low densities, high elastic modulus, excellent fatigue and cryogenic strength and toughness properties, and superior fatigue crack growth resistance. The last property is a key factor for damage-tolerant aircraft design. However, it has been discovered that the high resistance to fatigue crack growth is due to a jagged crack path through the material that produces a large amount of roughness-induced crack closure under tension dominated loading. Crack closure is a phenomenon first documented in the 1970s that reduces the severity of the stress intensity at the crack tip under an externally applied load. It is therefore beneficial, provided it can be counted on to exist. Unfortunately, loading conditions that contain compression or compressive overloads, that flatten the crack surfaces, reduce or eliminate crack closure and cause crack growth rates to accelerate significantly. Another disadvantage of these alloys is that in the strongest (desirable) heat treated conditions, the mechanical properties are often highly anisotropic. There exists, for example, significantly depressed ductility and fracture toughness in the short transverse direction. Another drawback is a very high crack growth rate for microstructurally short cracks which potentially allows for fast crack initiation. This could mean relatively early cracking in high stress regions such as rivet holes. Aluminum-lithium alloys have not yet received the widespread usage and acceptance hoped y the commercial producers. However, some aluminum-lithium alloys have been utilized on recent commercial jetliner airframes and the material is used significantly in the EH101 helicopter. In addition, several AL-LI alloys are :under consideration” for a wide variety of developmental and experimental aircraft and space vehicles. The cost of Al-Li alloys is typically three to five times that of the conventional aluminum alloys they are intended to replace. This is due partly to the relatively high cost of Lithium and also to high processing and handling costs for the material. The lithium content of wrought Al-Li alloys cannot exceed the solubility limit of 4.2% Li in aluminum. In practice, the Li content is generally less (except in certain powder-metallurgy materials discussed later.) Lithium is the lightest metallic element. It has an atomic mass of about7 g/mol, a solid density of0.534 g/cm3at 20oC, a BCC crystal structure and a melting temperature of 181oC. Elemental aluminum has a FCC crystal structure and a solid density of2.7 g/cm3 at 20oC. Each 1% of lithium reduces the density of an AL-Li alloy by about 3% and increases the stiffness by about 5%. High strength AL-Li alloys are obtained by precipitation heat treatments similar to those used for conventional al-alloys, with some variations. Many of the AL-Li alloys achieve peak strength only if cold-work (stretching) is performed prior to the precipitation, or age-hardening, treatment. Furthermore, ancillary key alloy elements, such as zirconium (Zr) are added to control the grain microstructure during heat treatment. The mechanical properties of some near-peak aged hardened (-T8x) AL-Li alloys are given in the table below. Alloy 2090 was developed as a replacement for 7075-T6, offering 8% lower density and 10% higher stiffness than the conventional alloy that is used heavily in aircraft structures. The 2090 alloy also offers superior corrosion resistance in salt-spray (marine) environment than 7075-T6. Alloy 2091 was developed as a replacement for conventional aluminum alloy 2024-T3, offering 8% lower density and 7% higher modulus as well as superior damage tolerance. Alloy 8090 was developed as a replacement for some of the most long serving of the commercial aluminum alloys, namely 2014 and 2024. Alloy 8090 has 10% lower density and 11% higher modulus than these conventional counterparts, and 8090 exhibits superior mechanical properties at cryogenic temperatures. 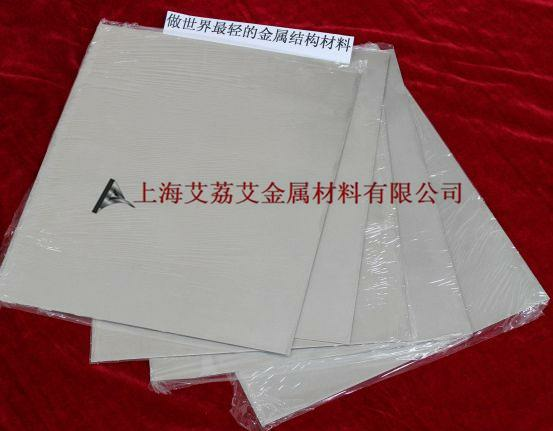 The alloy that is marketed under the trade name Weldalite 049, as its name suggest, is a weldable Al-Li alloy designed to replace 2219 and2014 inspacecraft launch systems. The density of Weldalite 049 is2.7 g/cm3 (about the same as its conventional counterparts), it has about 5% higher modulus than 2024, and tensile strengths of forged parts in excess of 700 MPa have been reported. The success of failure of the current applications of these advanced alloys will likely determine their engineering significance in the long-term.